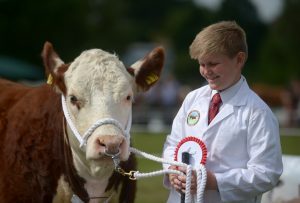 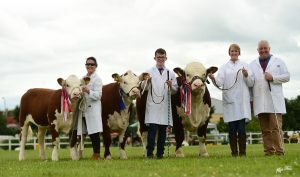 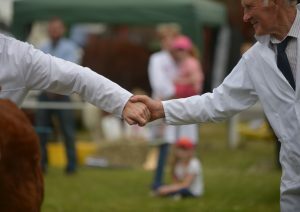 This year it was the turn of Omagh show to host the Northern Ireland Hereford Breeder’s Association’s National Show. 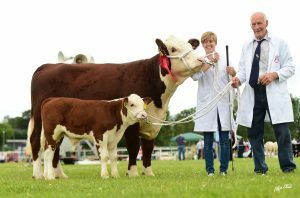 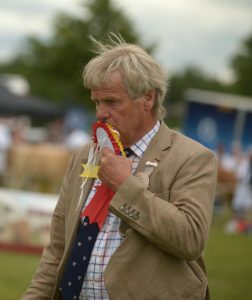 President and renown breeder Jonathan Moorehouse of Cato Polled Herefords had the job of judging an entry of 40 animals on the day. 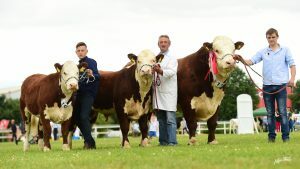 “A great turnout of cattle and quality to match” quoted Jonathan as he rounded up his morning’s judging. 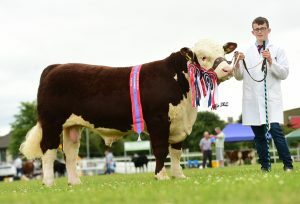 His supreme Champion Richmount 1 Peppermint who is owned and bred by Mr James Graham stood out on the day, a young bull that is no stranger to winning and also took the reserve Champion at Lurgan show this year. 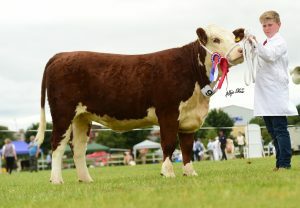 Reserve went to J&W McMordies Solpoll 1 Perfection. 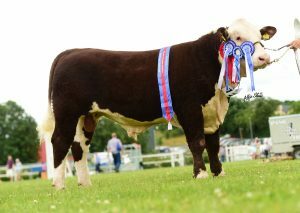 This yearling Bull also took the Native & Reserve Overall Interbreed Performance Class Winner Royal Ulster 2018. 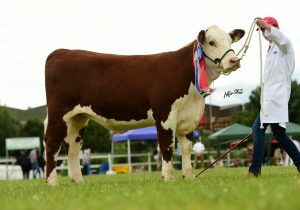 James Graham added to his victories with Junior Female Champion, Richmount 1 Ruby Royale, a 7 month old Heifer who also took Champion at Armagh show showing she started as she means to go on, Ruby Royale then went on to win reserve overall Female Champion.